So with permission from my contact at Openreach I am allowed to share this as I asked for an update and apparently CP's have this info too..
sadly not good news by the looks of it.. I have checked the situation again and received this response:-“ we have paused the trial of ReTx whilst we work with ECI and their partners to fix a bit loading algorithm problem in one of the chip sets which was causing anomalies on a subset of lines on the trial. We do not have a date for any next steps for this trial as we are concentrating our efforts on working with our supplier and their partners to find a fix”. Well just confirms to me why they need to dump ECI and install something which works! Come on let's be honest, is anyone surprised? I'm not. That seems to be the realistic assessment I feel. They need to dump ECI and replace it, but of course they won't. There's nothing forcing them to do so as they are allowed to offer FTTC as a best efforts service, which means they don't need to guarantee things like G.INP support across their entire estate. Thanks for sharing the update however, it's appreciated. I was going to post a rant on just how pathetic this situation with the ECI cabs is but I give up. yes it has come from the correct person who is in touch with the team working on eci g.inp etc. Sounds like next year to me sadly if at all?? First thoughts "ECI and partners" = Lantiq ? "one of the chip sets" - Don't the M41's all contain the same chipset, therefore do they mean a particular type of modem. "causing anomalies on a subset of lines" - are we now back to the known issue whereby certain modems can cause problems for neighbouring lines when used with g.inp. ECI has not been able to come up with a solution to protect neighbouring lines if a rogue modem in use. I haven't yet figured out why rogue modems would affect neighbouring g.inp lines, other than know if certain settings are changed on the rogue modem, that it will most likely increase noise for those neighbouring lines..... and that g.inp works far better on certain types of noise than others. T-REC G.998.4 does slightly cover bitloading but some of it applies to in use with SRA. I've only had a quick scan and don't really feel like breaking it all down.... I doubt if me spending a long time reading that document would enable us to come up with a theory that the experts will not have already covered. @ ejs - what do you reckon on that statement? I think all we know for definite about the M41 line cards is that the line cards are either "v2" or "v3", but we don't really know anything about the chipsets in the line cards, beyond the IFTN and the 4 hexadecimal digits we see in the stats. It could be the same or very similar chip set in both the v2 and v3 line cards. I think it's probably going to be the receiving end that is responsible for initiating a bit swap, so for the downstream, that would be the end user modem. The bit swapping must be coordinated between both ends, a problem might be the modem requesting bit swaps and the other end refusing them. The word "algorithm" doesn't really tell us anything, and a bit swapping problem could be a problem at either end. "causing anomalies on a subset of lines on the trial" - I read that as the subset of lines using that particular chip set in question. Not as one line causing problems for others. I would not be at all surprised if the problem were Lantiq modem firmware related yet again, and if they're still trying to debug some ancient firmware version numerous iterations behind the latest. afaik Openreach use VTU-C64 line cards in their ECI cabs which supposedly contain Infineon VINAX V3 chipsets. I believe ECI also retailed VTU-C48 line cards at one point but not sure if these were ever used with VDSL2 DSLAMs. To me, from everything they say appears to be pointing to something at the modem end... but how come TP-Link could fix this on their modems which contained the same chipset as the ECI modems. Also during the [ECI] roll-out it was users of other makes of modem which were reporting problems retaining sync. One thing we do know is that Openreach are remaining tight lipped on the fact they have discovered there is an issue with some modems and g.inp.. but arent saying anything when it comes to disclosing the actual modem/chip type of that modem(s). Openreach need to go back to ECI immediately & demand a REAL fix under the sale of goods act. The equipment is clearly 'not fit for purpose' under UK law, as it doesn't comply with the spec. they were given for the equipment. Replacement circuit boards for the street cabs. is the obvious & cheapest solution, they're plug-in units so can utilise the existing cabinets & power supplies. It's time to stop messing about with trying to fix the existing hardware, after all it isn't days or weeks of failure, it's YEARS! It isn't working & customers are suffering. Sale of goods act doesn't apply to commercial purchases so there will be a separate contract in place. I suspect that contract will not include things that can't be added now that wasn't part of the original equipment. The blame is squarely with BT for commissioning VDSL without everything working from day one, they cut corners at the beginning and installed VDSL Lite, so we have no vectoring (apart from some exceptions) and no G.INP on ECI cabinets. This sort of things is repeated all the time, commercially and in retail, where we buy a product that is missing a "feature" that will be enabled later by a firmware update, which either happens late in the day or often not at all, and usually fails to work very well if it is implemented. G.Fast is the same, corners cut and we now have pods at the side of cabinets and no reduction in line lengths for anyone. ADSL was also similar, Seamless rate adaption was an option they missed out, and they also never implemented PhyR retransmission on ADSL, which is what G.INP is today. So G.INP, a technology available a long time ago on ADSL, is still absence from a very large percentage of VDSL lines. 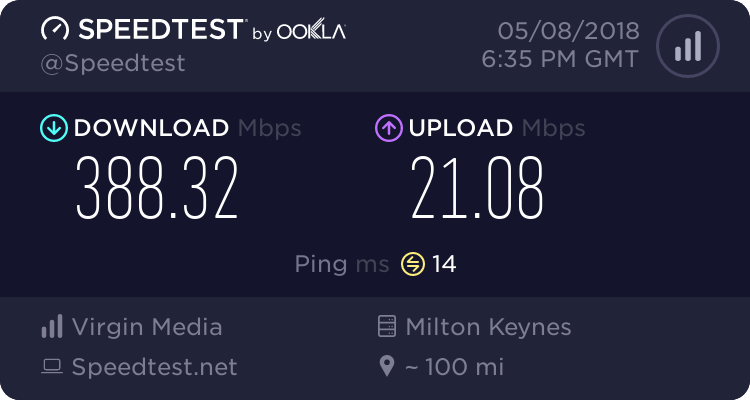 It's about time BT stopped messing around with corroded, unshielded, hardly twisted paired cable that wasn't much good for audio let alone data, and got around to upgrading the infrastructure for the 21st century. Well said PhilipD, it's also about time that Ofcom stopped putting barriers in their way and just let them get on with it. Well G.FAST should solve all my problems, but I've no idea when the pod on my street cab will go live. It's been fitted & is working according to the Kelly Comms crew who wired it up. However, trying to find out when exchanges like mine are going live is like trying to get blood out of a stone.